William Shakespeare (bapt. 26 April 1564 – 23 April 1616) was an English poet, playwright and actor, widely regarded as the greatest writer in the English language and the world's greatest dramatist. He is often called England's national poet and the "Bard of Avon". His extant works, including collaborations, consist of approximately 39 plays, 154 sonnets, two long narrative poems, and a few other verses, some of uncertain authorship. His plays have been translated into every major living language and are performed more often than those of any other playwright. Shakespeare's sonnets, or simply The Sonnets comprise a collection of 154 poems in sonnet form written by William Shakespeare that deal with such themes as love, beauty, politics, and mortality. The poems were probably written over a period of several years. All but two first appeared in a 1609 collection; numbers 138 ("When my love swears that she is made of truth") and 144 ("Two loves have I, of comfort and despair") had previously been published in a 1599 miscellany entitled The Passionate Pilgrim. The Sonnets were published under conditions that have become unclear to history. For example, there is a mysterious dedication at the beginning of the text wherein a certain "Mr. W.H." is described as "the only begetter" of the poems by the publisher Thomas Thorpe, but it is not known who this man was. (A popular contender is Henry Wriothesley, 3rd Earl of Southampton, right.) 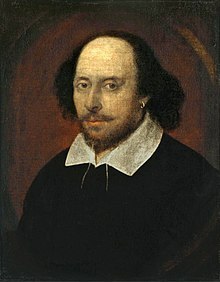 Also, although the works were written by William Shakespeare, it is not known if the publisher used an authorized manuscript from him, or an unauthorized copy. that the tragic ending of Shakespeare's King Lear was found to be so distasteful that it was replaced on stage for over 150 years by Nahum Tate's adaptation, with a happy ending and a love story? that the classical unities are only observed by two of Shakespeare's plays, The Comedy of Errors (one of his first) and The Tempest (among his last)? that the 18th-century play Double Falshood, claimed by its author Lewis Theobald to be reconstructed from manuscripts by the Bard, may be all that remains of the lost Shakespeare play Cardenio?